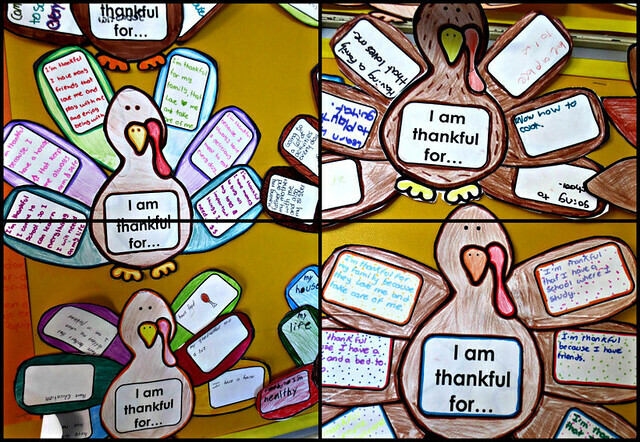 OBVIOUSLY, Thanksgiving is not celebrated in Mexico, BUT I took this holiday as an opportunity to teach the kids about the importance of gratitude. We started the week with fun crafts. 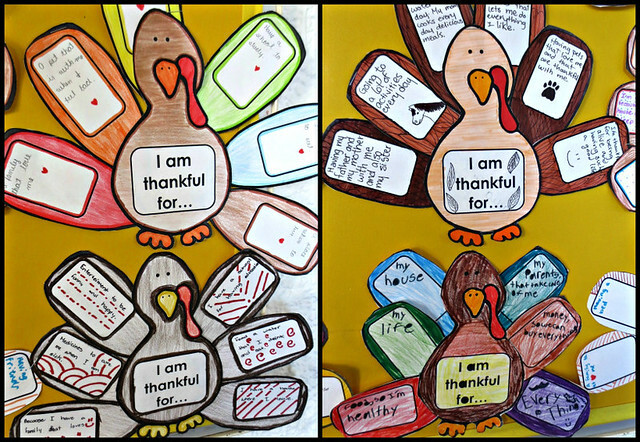 The kids created their own turkeys and we reflected about what we were thankful for in our lives. 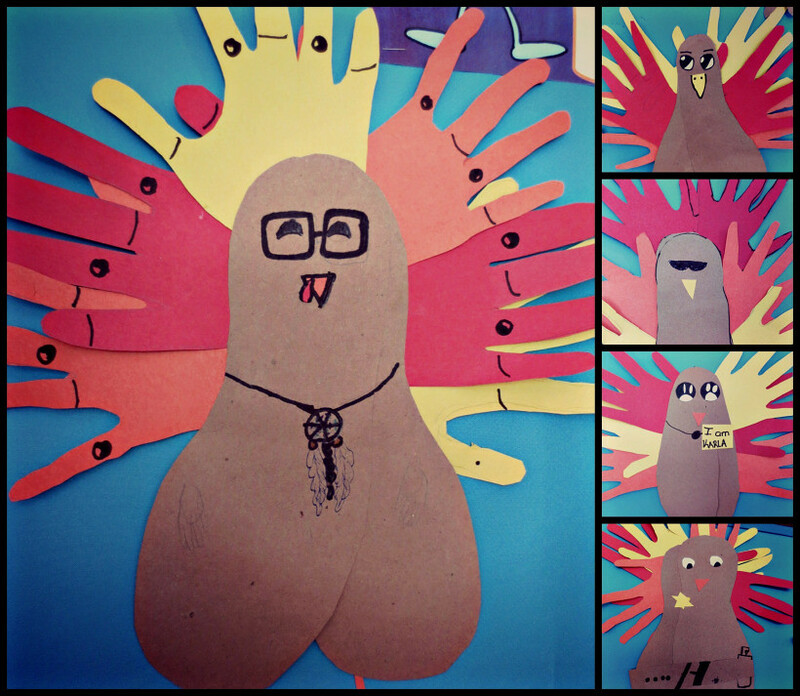 😀 We also learned about wild turkeys and the kids were able to personalize their own birds using cut-outs of their hands and feet. So cute! 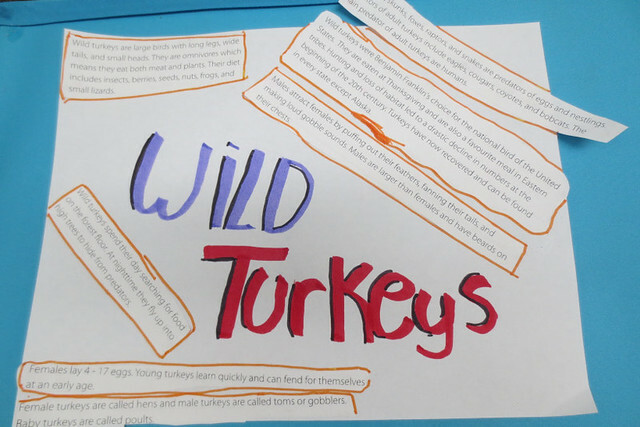 I was able to utilize a very interactive website to teach the children about the history of the Wampanoag people and the pilgrims. The teaching coordinator has been very generous by giving me the freedom to design my own lessons for this week. 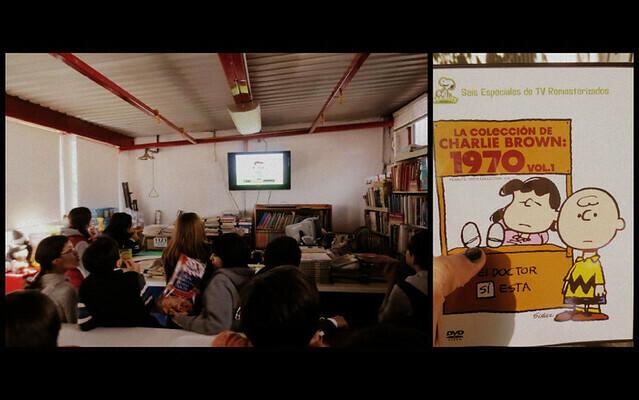 That being said, I wanted to relate all of these lectures back to the main focus of the unit, which is self-expression. 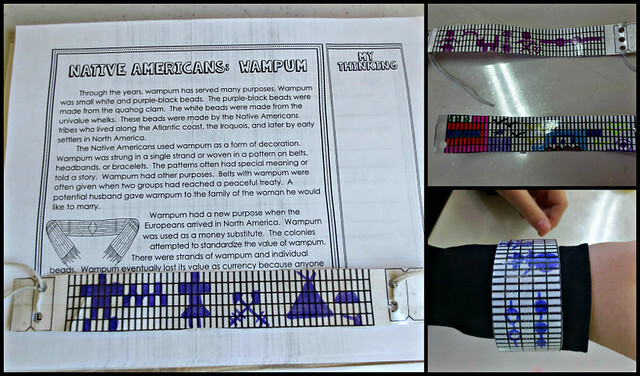 While researching various forms of communication, I found out about wampum belts used by Native American tribes. I asked Santiago if he was trying to get brownie points during the activity. 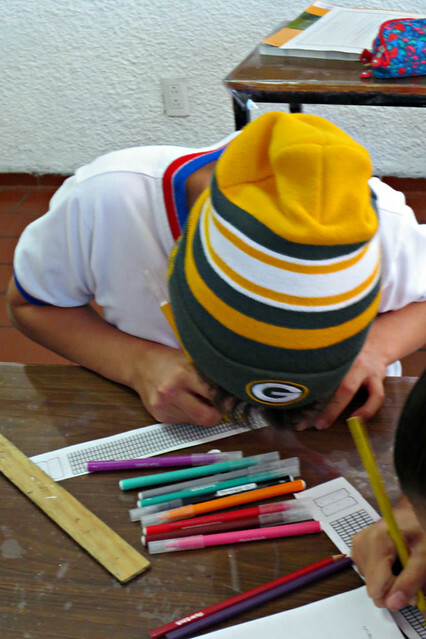 He said he liked the Packers even BEFORE I was his teacher. Hah. 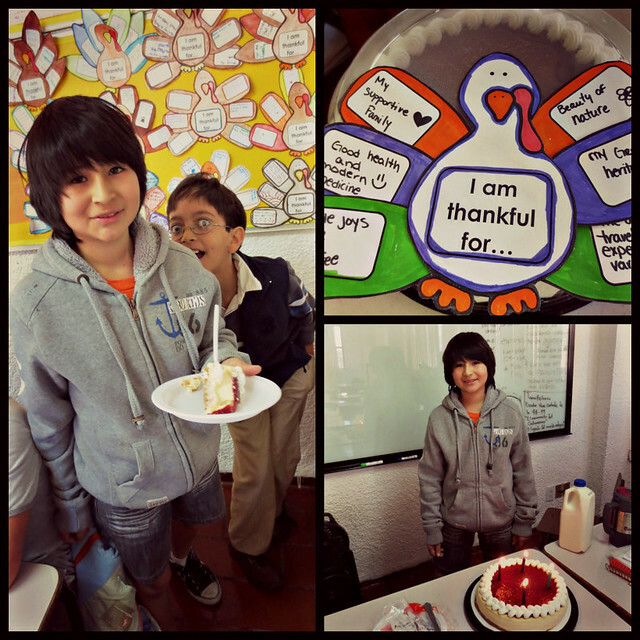 On the actual day of Thanksgiving we celebrated and indulged in our own way. Thursday was Sebastian’s birthday, so we ate strawberry cheesecake, cheddar bacon potato chips and watched Charlie Brown’s Thanksgiving. After school, I made a delicious chicken noodle soup for my roommates. 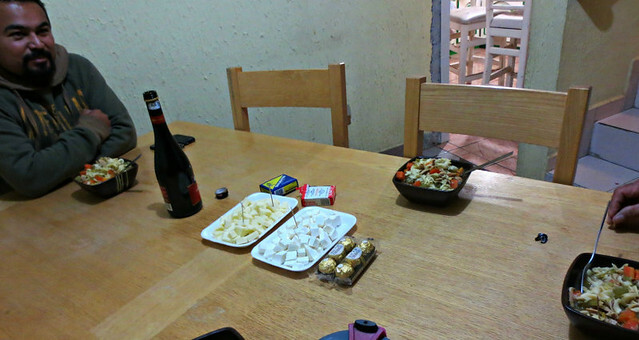 Fernando brought red wine and Oaxacan cheese, Alejandro brought bread and Ferrero Rocher chocolate, and Fran brought Tequila. Hah. The guys asked, “What is this?” I said, “Well, it’s chicken noodle soup. It is pretty common in the United States.” Fran said, “Oh, how healthy. We’re used to eating tacos in the street.” Hah. The guys are really involved in helping impoverished communities and we talked a lot about different volunteer opportunities with indigenous tribes. Don’t judge them based on their intimidating appearance. 🙂 In reality, these guys are all very calm and respectful. They are usually busy with work during the week and we rarely see each other. It has been a very enjoyable living environment. They also asked how my parents felt about having me live with a bunch of old bikers. I said, “Milwaukee is the birthplace of Harley. No worries.” At the end of the week, I realize I have many things to be grateful for. I have a loving and supportive family, a fantastic job with very bright and creative students, and limitless possibilities for the future. It has not been the traditional Thanksgiving for me, but it has still been reflective, enjoyable and memorable. Hope you all had a delicious Thanksgiving meal, a successful Black Friday, and are getting into the holiday spirit. 🙂 Have a nice weekend. Until next time.